Advanced Cycle Support from Iron Mag Labs is a very good and complete “full cycle support” supplement for your cycle of prohormone. Advanced Cycle Support has everything you need to be protected (liver protection, blood pressure & lipid levels protection, prostate protection…). The only bad point about Advanced Cycle Support is his price (about $40 for one bottle). But the pills are fine dosed so one bottle is good for a 6 week cycle of prohormone. Straight coming from Iron Mag Labs, Advanced Cycle Support is the perfect full cycle support supplement for a cycle of prohormone. Made with proven ingredients : Milk Thistle, N-Acetyl-Cysteine (NAC), Hawthorne, Saw Palmetto, CoQ 10, Celery and Grape Seed. All of these ingredients works together to bring you the perfect protection for your liver, your blood pressure, your prostate and your lipids profiles! All of this, in one supplement : Advanced Cycle Support. Where to buy Advanced Cycle Support – Iron Mag Labs ? Take 2 to 4 capsules every day. It’s preferable to start taking Cycle Support the same day you start taking your prohormone supplements. Take Cycle Support 1 to 3 hours after each prohormone dose (up to 4 capsules daily). 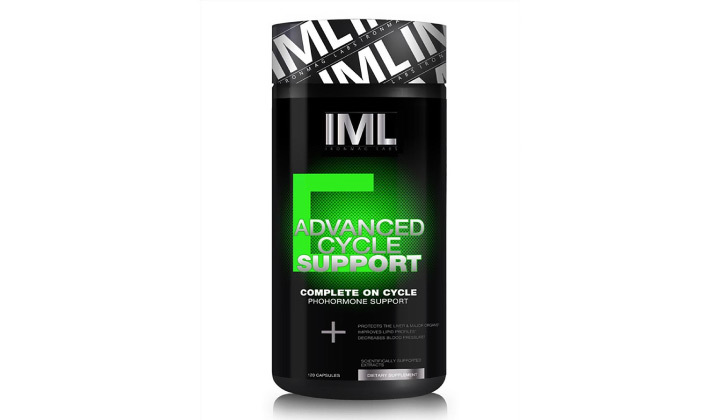 Want to share your review for Advanced Cycle Support – Iron Mag Labs ?